Cody Kopp was born in Salt Lake City in the summer of 1982. He got his start in radio in 2001 as an intern for a rock station in Salt Lake City and eventually worked his way up to co-host a night time radio show. In his many travels though the country as a voice talent, he has met loads of rock stars, MC’d shows, promoted local bands, and has also worked as a night DJ at a radio station in Myrtle Beach, South Carolina. He eventually moved back to Salt Lake City in 2006 and was off the radio waves, until he moved to Durango in Spring 2009. He was asked to MC at the last minute for the annual “Pink Diggs For The Cure” benefit volleyball game and was discovered by an American General Media Program Director. He was asked if he “Ever considered a career in radio?” and was offered a job as a board operator. He gladly took the position. 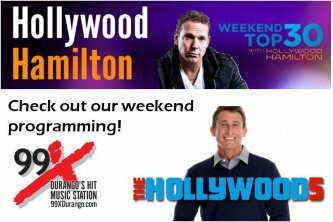 In his time employed here, he has worked his way up though the ranks and now is Program Director and your drive home DJ for Durango’s Hit Music Station KPTE 99X! Tune in weekdays 3:00-7:00pm to hear Cody Kopp on air! 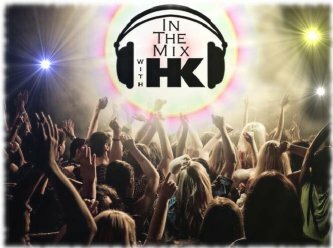 In The Mix With HK is the hot syndicated show Mixed and Hosted by Grammy® nominated and Gold and Platinum award winning Producer/DJ/Remixer Howard “HK” Kessler. The show is a weekly tour de force! HK takes all the biggest hits and remixesthem together into a non-stop extended dance club format. The Kidd Kraddick Morning Show is an American ensemble morning radio show that originates out of Dallas, TX and airs weekday mornings. The show's primary focus is pop culture commentary, with discussions often revolving around the previous night's reality television programming, celebrity relationships, and current affairs. The term KiddNation is the name the show calls their main fanbase. Some of their popular segments on the show are Tinder Tuesday, Love Letters to Kellie, Whatever Wednesday, First World Problems and Does that make me Crazy! ?